Oculus doesn’t want Samsung’s exploding Galaxy Note 7 anywhere near your face. 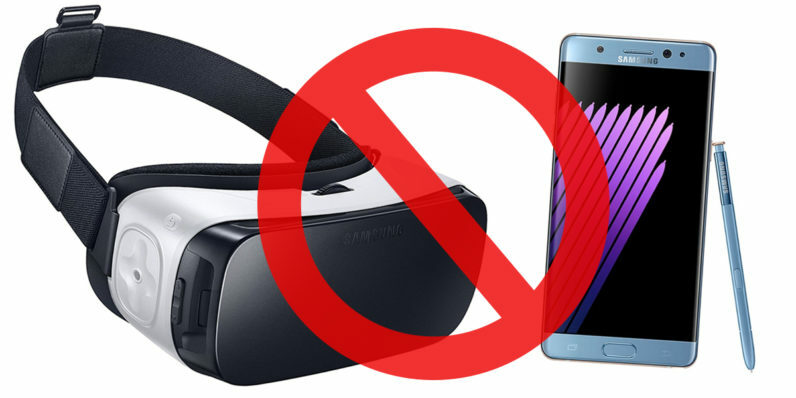 The Facebook-owned virtual reality company that powers Samsung’s VR software has disabled support for its Gear VR app on Galaxy Note 7 following numerous reports of replacement units catching fire. As first observed on Reddit and corroborated by Android Central, Oculus has issued a forced update to its mobile app that shows the following message whenever you pair your Note 7 device with the Gear VR headset. The company’s decision seems to have pissed of a lot of Redditors who are no longer able to use not only their Note 7 devices, but also their Gear VR headsets. While their frustration is understandable, it’s praiseworthy that Oculus is taking measures to prevent possible injuries – even when it’s not a popular sentiment among consumers. This development isn’t at all surprising. Yesterday, Samsung not only halted sales for Note 7 devices worldwide, but also advised owners against using their phones. Gear VR will continue to work with other compatible Galaxy devices that haven’t been affected by faulty batteries. So in case you have a Galaxy S7 or S7 Edge lying around – you can still hook it up to your headset.